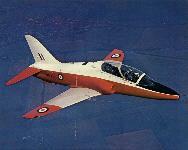 The first Hawk, XX154, during the 1974 SBAC Show at Farnborough. 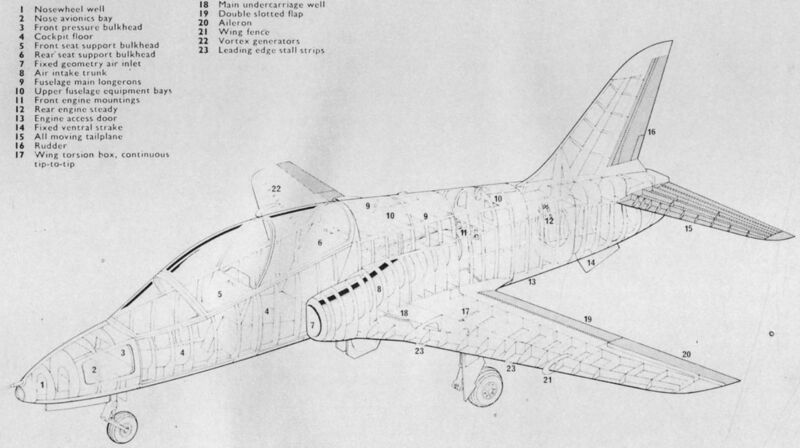 View of XX154 in clean configuration, before vortex generators were added, to the wing upper surface. 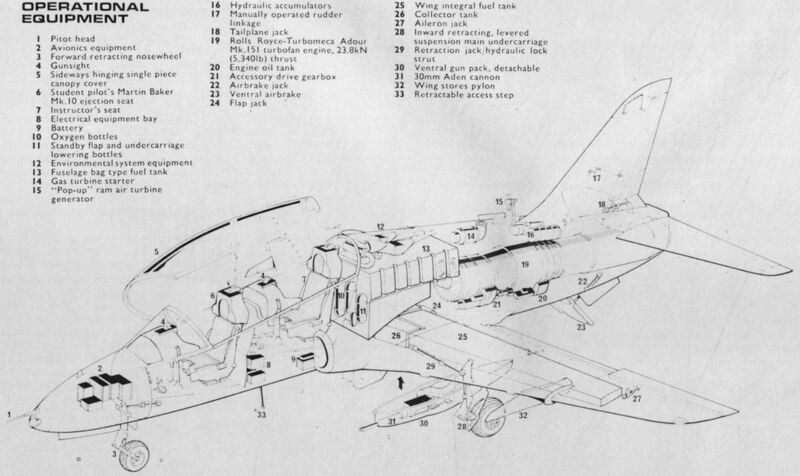 The strakes beneath the tail were added after initial flight trials, and the wing fences were later lengthened. 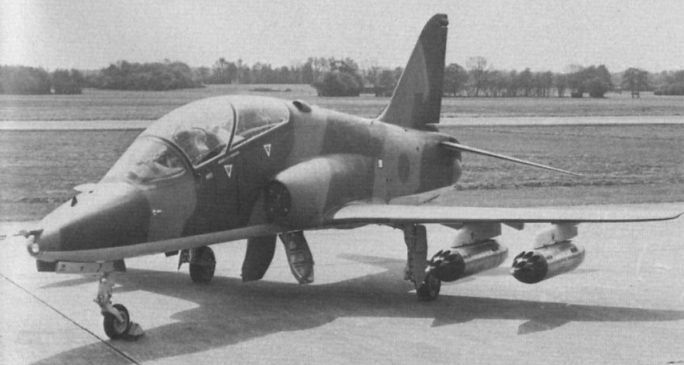 XX157 at Dunsfold in January 1976, carrying a centreline-mounted 30mm Aden gun and ammunition pack and with the flaps and rear fuselage airbrake in evidence. 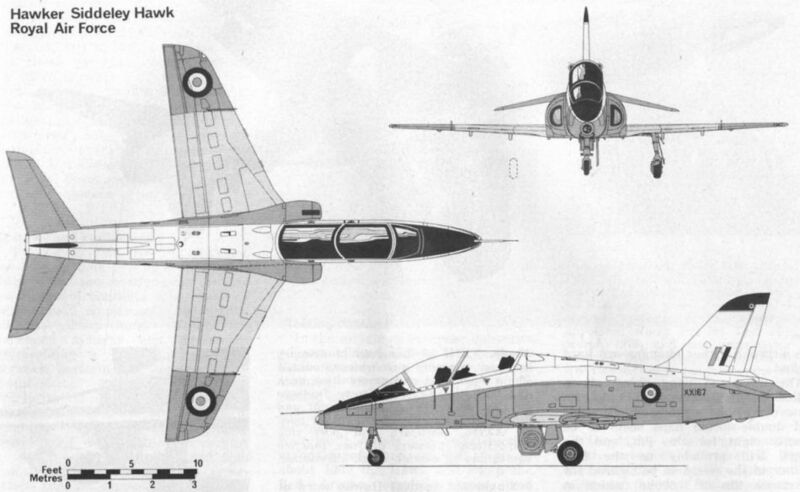 The first Hawk, XX154, displays its stubby underwing Matra 155 launchers, each with accommodation for 13 2.75in air-to-surface rockets. 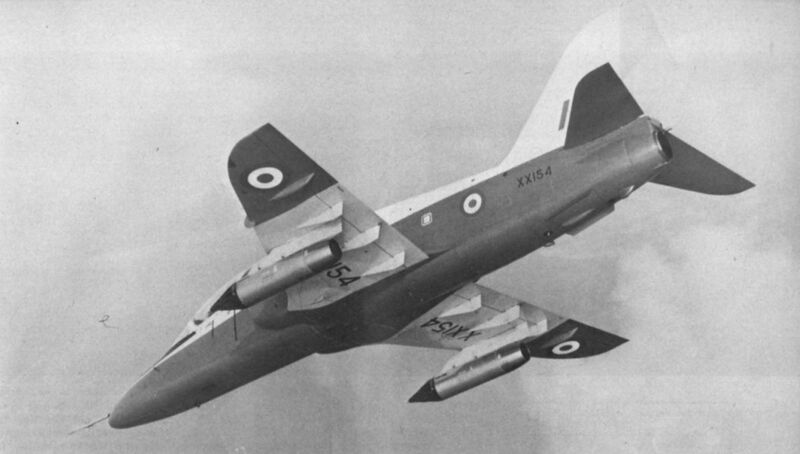 View of XX154 in clean configuration, before vortex generators were added, to the wing upper surface. 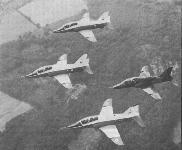 XX154 leads XX157/3, XX158/4 and XX156 in box formation in 1976. By the end of the year up to eight Hawks had entered operational service with the RAF. 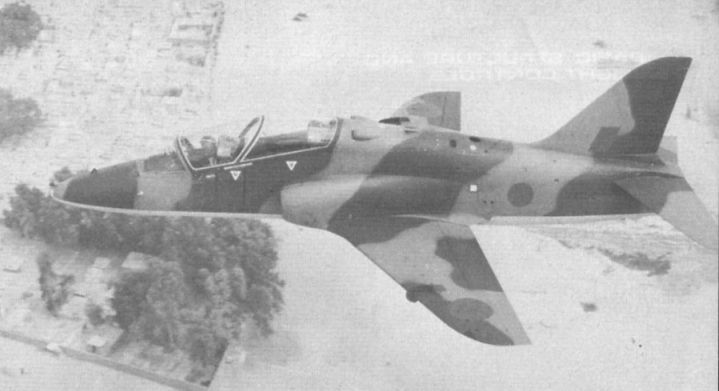 The second flying Hawk, XX156, seen during hot-climate trials in Malta, displays the vortex generators and longer wing fences characteristic of production aircraft. 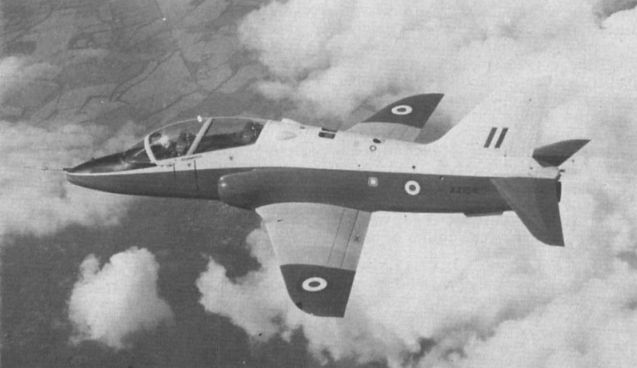 The eighth Hawk off the line was the aptly registered private venture aircraft G-HAWK, seen with a housing for the 30mm Aden gun installation on the centreline, for aerodynamic tests. Another shot of XX156, this time with four Matra 155 launchers on its wing pylons. The good view from the rear seat, achieved with minimal cockpit framing and vertically staggered seating, is well shown. 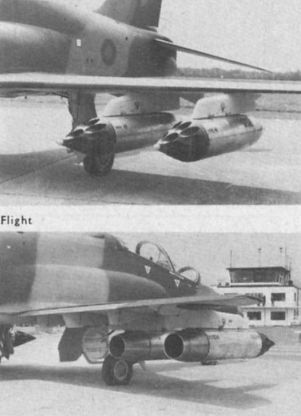 Front and rear close-ups of the Matra rocket pods on XX156, starboard and port side respectively. Clusters of four practice bombs can be carried as an alternative.